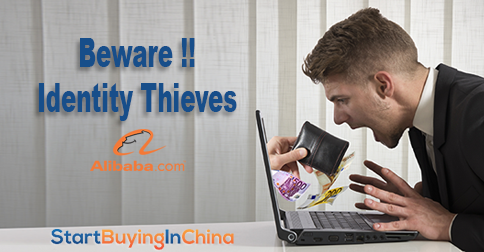 At StartBuyingInChina we haven’t discussed real stores that sell fake products. At this point it is hard to tell. You need to know the original product, otherwise you cannot determine a fake product from a genuine product. Today we give it a shot! 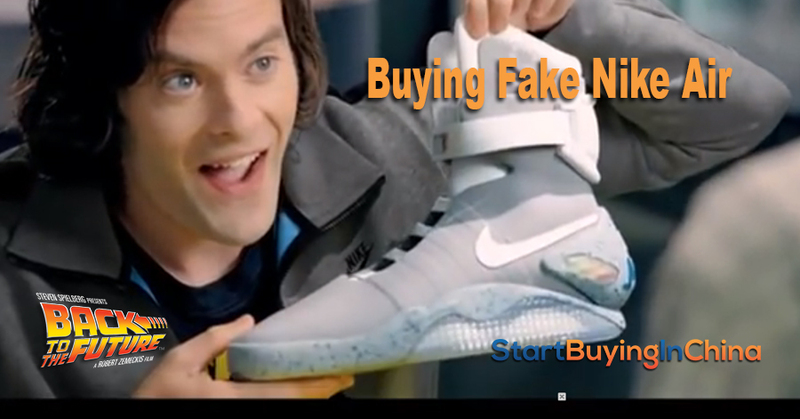 What’s the difference between a fake or fraudulent store and a real store with fake products. A fraudulent site: will never send you your products. They simply try to steal your money, and even more money and even more money. I discussed this in several articles and see this one on how Scammers Think. A site with fake products: will send you the products, but you will get a clone, a remake or counterfeit as it is called. 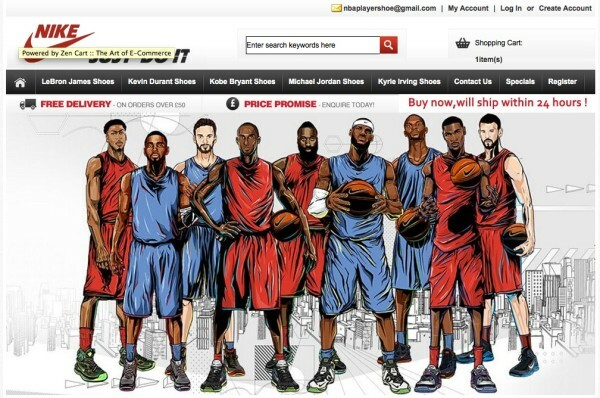 This week I got the question whether nba-allstars.com is a reliable shop or not. This stores looks great. All kind of sport shoes from the best brands like Nike, Lebron and a lot of names I’ve never heard of. At first I thought this was a real store. The images are professional. The site looks like it is not even situated in China. There is nothing that could wrong tell me at first sight. Just a few minor things, to raise my suspicion. – They advertise their products in US dollars and the shipping costs in UK pounds. – At the very bottom there is a small gif image from CNZZ Data Expert and some flashing bars. This is a Chinese webpage counter or tracking service. – There is no contact information. Only a Gmail email account. These three minor things tell me this is site that is not fully professional, situated in China and doesn’t want to be found by official organizations. And for the final conclusion, I needed the help from the internet. Checking for this site online, I found it is listed as a NB Allstar counterfeit store sneakersshoebox.com. Well, with modern electronics and phones I have a pretty good idea what the general prices must be. Also when you buy them from China (which is often higher). With shoes… I don’t know. So Google must do the work again. Let’s start with the all time favorite: Nike Air MAG Back To The Future. YES this is the shoe Marty McFly wore in Back To The Future II. At NBA-Allstars you can buy them for just $299, from $749, just enter your mens size. They have 299 units in stock. To be frank… This is totally fake… The original shoes are no longer for sale… But what the hack. I just want to have them, fake or not! (btw automated laces are not included). Let’s check out a more common shoe. Let’s check the: Nike SB Stefan Janoski Max Mens Shoes Light Gray Red for US 82.99, from US 207.00. Hmmmm strange! The same happend with some other shoes I tried. I’m sure this will not be the same situation with all shoes. But it is rather strange that for the shoes I tried, the prices are pretty high. The conclusion is a big question mark. 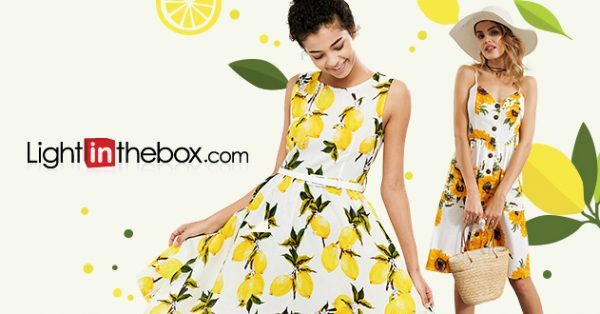 The products are even higher priced than in other online stores. So why bother? Note that counterfeit is prohibited in most countries If you import counterfeit and your customs open the package, your product will be confiscated and you will probably get a fine. In this case I see no reason why I should buy at this store. Higher prices with the risk of confiscated goods and bills… But if you do…. Be careful! Have you even bought shoes online from China? Were they genuine? 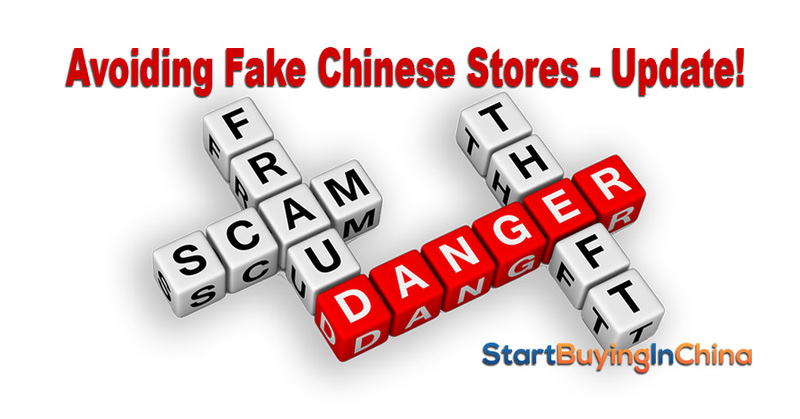 Avoiding Fake Chinese Stores! Update! 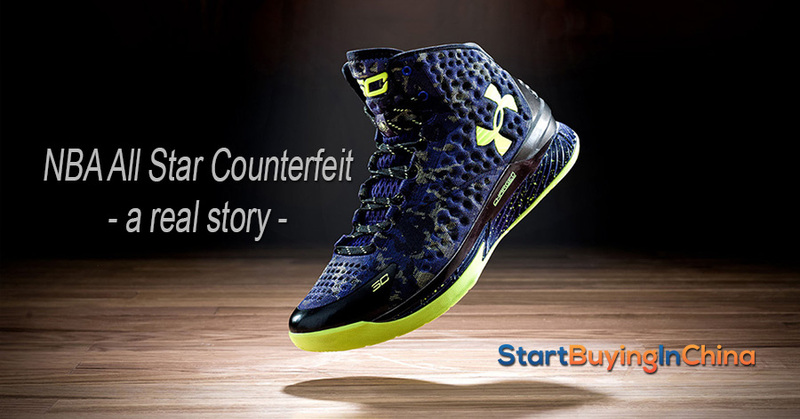 5 replies to "NBA Allstars Counterfeit"
Don’t ever buy any items from that website, http://www.nba-allstars.com. the site may fool you thinking that it’s real because of how the content was set up by using the name “nba all star”. the size choices they have are US and UK sizes, which you assumed that the site was from UK. Me and my boyfriend got fooled, thinking that the website was from europe. After making the transaction for Stephen curry shoes since it’s out of stock in US, i was having second thoughts because the prices were too good to be true. In US it cost $130 and on their website you can get it for $97.00. After that purchase i researched if the site was legit then i found out your post and it did help me figure out that the site was from china because of that small gif CNZZ. i immediately contacted them to cancel my order through email because their phone number is in china, not unless you want to make a long distance call. After 2 days, they responded saying that the order has been shipped!! i was so pissed, what kind of customer service that checks their email after 2-3 days? So i asked for a tracking number because i was leery that they’re only saying that just to get me off their back. The person never responded me with the tracking number or any shipment status. After 2 and a half weeks, i received the item. I got the shoes and you can tell that it’s a COUNTERFEIT product. There’s no receipt or return mailing address and I checked the real curry2 and compared it with their item and damn right! it’s fake. bad stitching, can see some glue on the sides and if you wore it once, there’s a probability that it will fall apart. It just screams poor quality all over from the logo, the texture, everything! the sad part of it is that on the bottom of their website it states FREE returns “if you’re not 100% happy with the order, simply return it back to us”. I checked their return policy and it states their that it’s the customer’s responsibility to handle the shipping cost (typical china right?) and if you want a refund they will take off 15% of that refund money for restocking fee. We checked how much it will cost us to ship it back and the lowest price is $44 without certified mail. so if you take off 15% which is like $14 (restocking fee) and $44 (shipping) from $97.00 shoes that will only give me $39 back!!! which is absurd. I mean, there is also no guarantee that they will send me the refund. I don’t want to waste my time for just a $39.00. If you would only wear the shoes for show i think it’s fine but if you wear it for basketball games then i don’t think it will last. But still, i don’t recommend this site to anyone! I would like to post it here so others are aware! Thank you for your intensive valuable comment. I’ll use it in todays blogpost. Good luck next time. I hope my information will protect you with your future purchases. I’m back. By the way I contacted the previous website mentioned and asked them a couple questions, first one was how long it would take the shoes to arrive and do they take Paypal. They didn’t answer how long it take and said they don’t take Paypal. I did not respond and I believe that not accepting Paypal is a red flag, since Paypal offers buyers protection. I have another website I found but they are not listed on the website listed in your article. Company name is Best Shoe Kick. They only have one contact option which is like the others who sell knock offs, which is an online form. Any help you can provide me would be greatly appreciated. I have shared your website on my Facebook page. Thanks for your previous response and advice. Hi Steven, thank you for sharing! It’s very easy to accept paypal unless Paypal doesn’t accept you (store is banned) wrong country (some African countries are not supported) or because you don’t want their services (money back guarantee). Not having paypal is a bad sign, but only accepting bank transfers like Western Union is the real red flag. The link you provided is to another Chinese seller for premium brand shoes. Same thing. Be aware, There is no guarantee they will send you the real brand. BTW I tried to add some produce to the shoppingcart, but this function isn’t working…. Thanks for the FYI on this website. The shoes I wanted for my grandson are priced pretty low on this website. But the lack of customer service info stopped me from ordering the shoes. Looks as though I’ll have to get the Nike Kobe 9 Elite Mid Team Court Purple from ebay or another site that sells them for more. 84.99 with free shipping is the price they sell them for. and serving over 1,000,000 people ! My mission is to create a safer internet.